Students in Professor Kelly McConville’s Data Science class recently built interactive online visualizations using real data to analyze a topic of their choice. The work is a part of a semester learning how to gather, analyze, visualize, and interpret data. The following links are a selection of the projects. The sites are available on campus (or via VPN if off campus). Shot Charts for NBA Players – Alexander Mandel and Henry Han. Compare the shooting performance of 25 basketball stars. Airbnb in NYC – Peiwen Zhang and Istvan Cselotei. 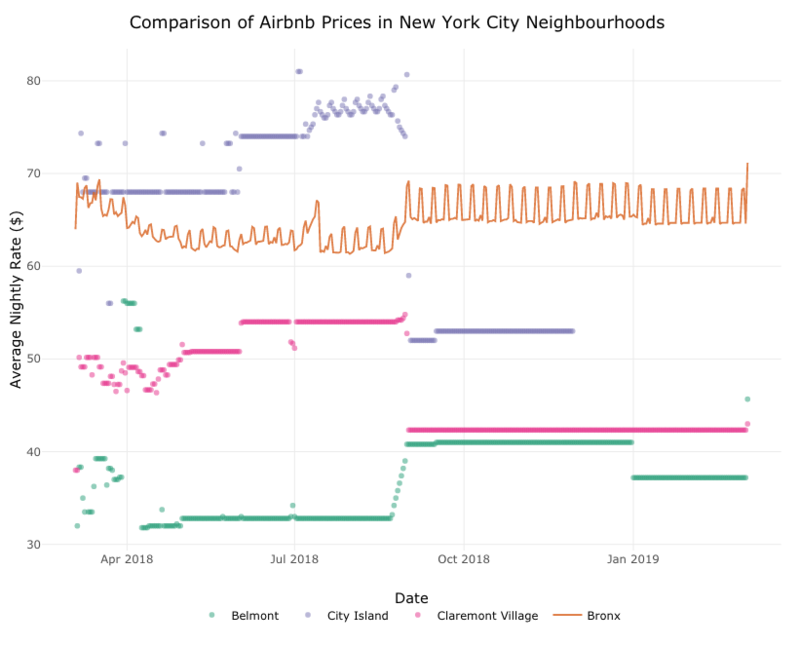 Compare Airbnb rental prices, availability, and price variations in different New York neighborhoods. College Compass – Kirsten Morehouse and Tommy Ferguson. Find a college that best fits a student’s needs. Distribution of Wealth Across Pennsylvania Counties – Robert Walsh and Fay Blelloch. Compare income variations across the state. The Hunt For The Perfect Candy – Chase Williamson and Haochen Wang. Enter your favorite candy characteristics to see which is the best match for you. What are People Eating in the U.S.? – Kimberly Rosa-Perez and Charles Levitt. Explore how food consumption has changed by year, gender, and age. Interactive PA Accident Data – Rachel Diamond and Tom Fitch. See how time of day, season, and location affect vehicle accidents in Pennsylvania. The students developed their site using the R statistical software language, the RStudio Server programming interface, and the Shiny Server web publishing site. Throughout the semester, ITS staff worked with Professor McConville and the Data Science students to provide server resources and technical assistance. We’ve seen a large increase in the number of faculty, students, and classes using the R language. Last summer, Professor Lu Chen and Academic Technologist Doug Willen collaborated to offer a two day workshop on R. If you are interested in learning more about how ITS can support your class or research with data science and analysis tools, please get in touch with your Academic Technologist.